Happy Easter 2013 from Loco Yard! 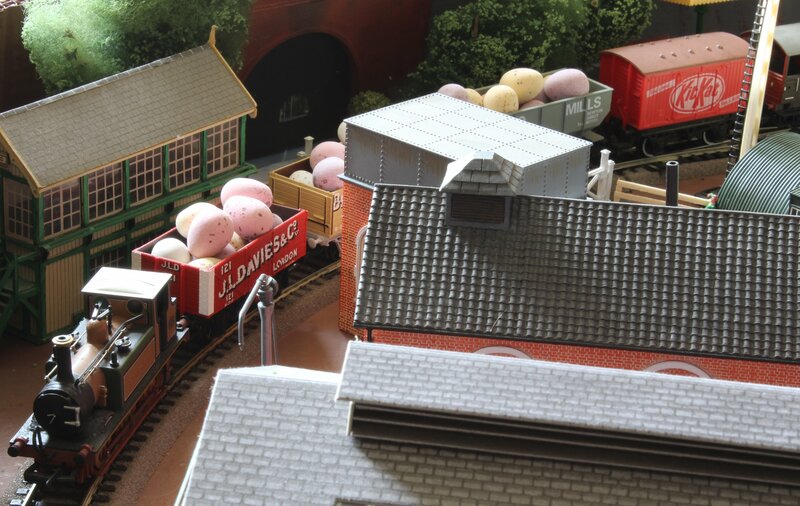 Easter 2013 has proved to be much busier than in 2012 at Locoyard, with two important freight deliveries arriving today. 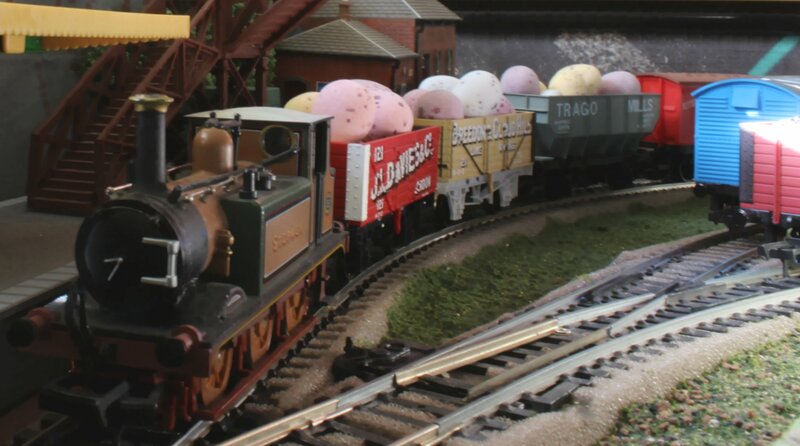 55 Stepney had been tasked with hauling two open wagons and one hopper full of Easter egg’s, plus a Kit Kat wagon. Stepney successfully managed to deliver this delicate load on time and it’s cargo was very much appreciated by all! The second delivery was far more substantial and required a heavy freight locomotive to move it! 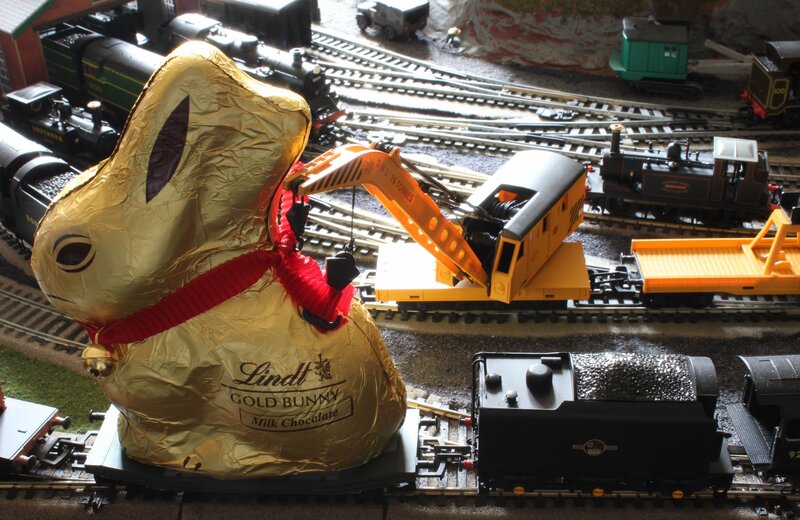 Locoyard’s crane was called into action to attempt lift the giant bunny. 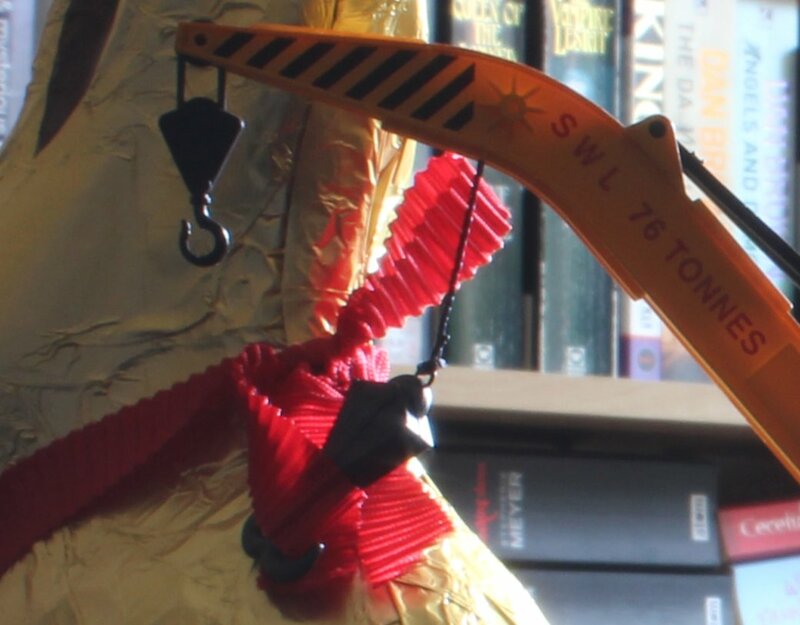 This major but delicate operation meant that this giant chocolate delight lasted a little longer than would usually be expected on an Easter Sunday! Happy Easter from Loco Yard! 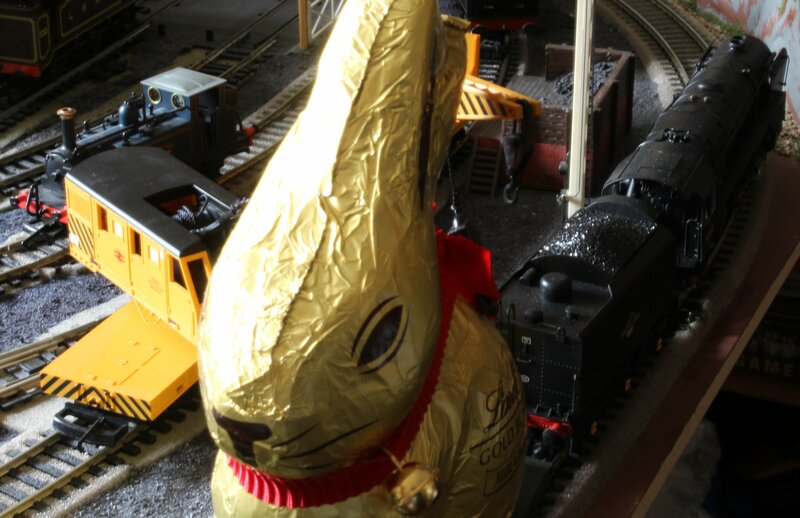 Happy Easter 2014 from Loco Yard! ← Final reminder! Nominate the most famous steam locomotive!